Gilford Cleveland Clark, 90, of Laurinburg, passed away on Saturday, November 24, 2018 at Peak Resources Pinelake Facility in Carthage. A funeral service will be 3:00 p.m. Tuesday, November 27, 2018 at East Laurinburg Church of God, officiated by Rev. Brett Davis. Burial will follow in Hillside Cemetery. A visitation will be one hour prior to the service at the church. Born June 29, 1928 in Marlboro County, S.C, he was a son of the late Edmond and Lela Walters Clark. He was a member of East Laurinburg Church of God where he served as choir director, treasurer and was on the church council. He exemplified what it meant to be a man of God, a man of morals, a man of compassion, a devoted husband, a loving father, brother and friend. He was a Godly man who was obedient to the will of God. He proved that to be true when he faced his final battle here on earth, knowing at the end he would be at peace with his heavenly father. He leaves behind a daughter, Becky Clark Billips and husband Tony. 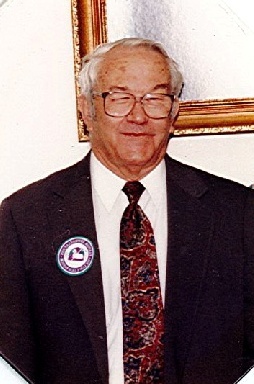 He was preceded in death by his wife Geraldine H. Clark and his son Gil Clark, Jr.